Conceived by Syos, the mouthpiece I play was made according to my needs and sounds great, especially live! Thank you Syos! Esdras Nogueira is a saxophone player and music producer. In recent years, he has established himself as one of the great names in Brazilian instrumental music. 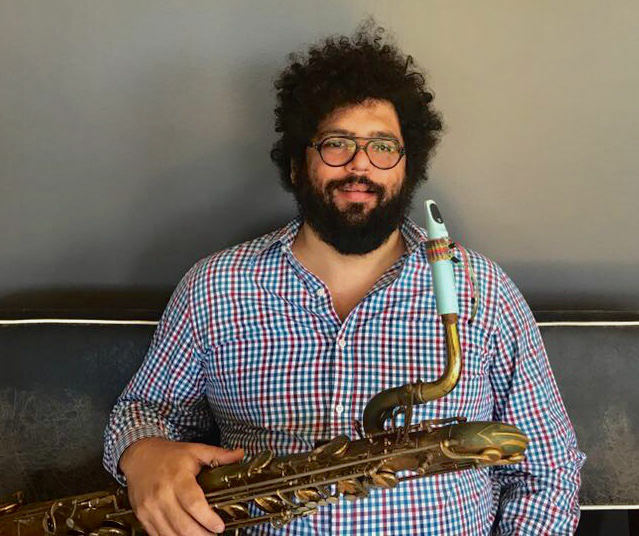 Equipped with his baritone saxophone, the musician and composer from Brasilia has three solo albums: Esdras Nogueira Quinteto ao Vivo (2017), NaBarriguda (2016) and Capivara (2014). Esdras’ flawless solo career values instrumental music that is very much Brazilian, with influences from carimbó, jazz, salsa, samba, and afrobeat. His solo career began with the release of Capivara in 2014. The debut album was a tribute to the master Hermeto Pascoal, where Esdras dared to interpret the master’s compositions and was complimented for it. “I listened to it, it’s great. I was happy with his interpretation of the music. The songs are different but without losing their essence. Esdras is off to a great start and will go far”, said Hermeto Pascoal himself, after listening to the release. Listen to it here! NaBarriguda came in 2016 and is filled with music you can dance to, giving continuity to a theme that began with the first album. It contains compositions by Esdras and interpretations on songs by Hamilton de Holanda, Egberto Gismonti and Cartola. Listen to it here!